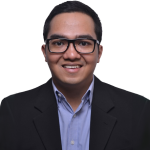 Hadyu is an analyst at BGA Indonesia where he focuses on the ICT, oil, gas, energy, pharmaceutical, and health care industries. A member of the Indonesian bar, he brings extensive experience in Indonesian law and knowledge about the country’s regulations to BGA clients. He is also an expert on Indonesia’s infrastructure development and overall foreign investment climate. Hadyu has worked for the Indonesia Infrastructure Guarantee Fund, where he assessed the legal aspects of guarantee provisions for Public-Private Partnership infrastructure projects. He previously served as a lawyer at a prominent Jakarta law firm, working on a wide range of cases related to civil and commercial law, foreign investment law, bankruptcy law, corporate law, and arbitration. Hadyu also has extensive experience in international law. Prior to joining BGA, he was a research associate with the Centre for International Law of the National University of Singapore, where he researched Association of Southeast Asian Nations law and policy, law of the sea issues, and Indonesia’s implementation of international law. Previously, he worked for the Human Rights Program at Harvard Law School and trained at the International Criminal Tribunal for the former Yugoslavia. Hadyu has an LL.M. from Harvard Law School and an LL.B. from the University of Indonesia.